Set on the western edge of San Francisco and adjacent to miles of beautiful coastline, Lakeshore is one of the most tranquil neighborhoods in San Francisco. With the Pacific Ocean right next door and an abundance of parks and other recreation nearby, the area is ideal for nature lovers and families. At the heart of Lakeshore is Lake Merced, where residents can spend the weekends rowing, biking, jogging, hiking, or flying kites, and golfers can tee off at one of three world-renowned courses: Harding Park, the Olympic Club, and the San Francisco Golf Club. Just outside the neighborhood there are a few more natural beauties to enjoy, including Stern Grove and, up along the coast, Baker Beach. Lakeshore Plaza shopping center on Sloat Boulevard offers a great mix of retail stores and a Lucky supermarket. Lake Merced Park is a 614-acre outdoor area with a 4.5-mile recreational trail encircling a freshwater lake that’s perfect for for fishing, boating, jogging and biking. TPC Harding Park Golf Course, which opened in 1925, is part of the PGA Tour’s Tournament Players Club (TPC) network of courses. Surrounded by Lake Merced on three sides, the course provides one of the most scenic golfing experiences in the country. Residents can fill all their shopping needs at Stonestown Galleria, an 862,000-square-foot mall that includes department stores Nordstrom and Macy’s, dozens of national retail chains, and a Trader Joe’s supermarket. During the academic year, the blocks in and around San Francisco State University’s campus are lively with students walking to and from classes. One of the nation’s best public schools, Lowell High has been in its current location on Eucalyptus Drive since 1962. Sigmund Stern Recreation Grove, home of the free summer concert series Stern Grove Festival, boasts a sophisticated amphitheater surrounded by miles of lush greenery. Pine Lake Park provides habitat for a variety of migratory bird species. It’s also home to a popular dog park, as well as a trail that encircles one of San Francisco’s remaining natural lakes and winds through Stern Grove. The Cypress Grill in the clubhouse of the Harding Park Golf Course offers gorgeous views of Lake Merced. 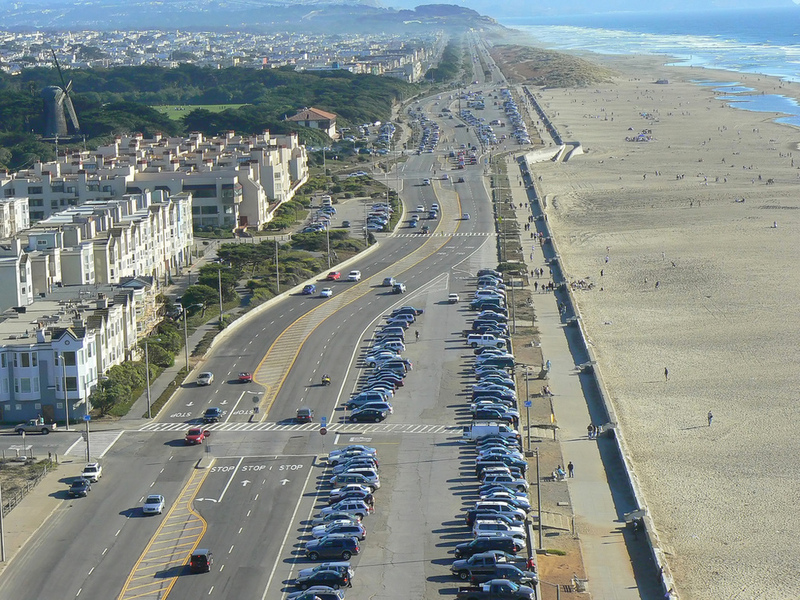 Lakeshore sits alongside Ocean Beach, which boasts gorgeous views of the Pacific Ocean and the Golden Gate Bridge. 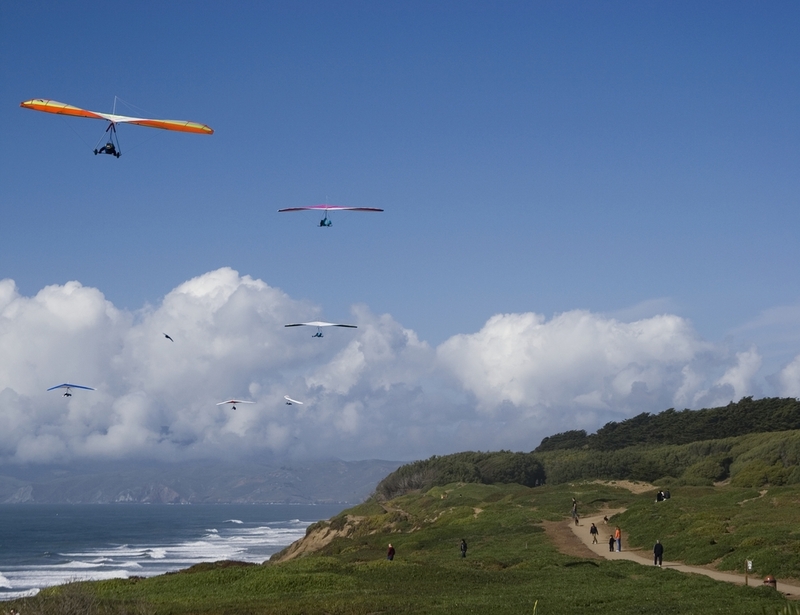 Just west of Lake Merced, Fort Funston is a protected area within the Golden Gate National Recreation Area and a premier hang-gliding spot.